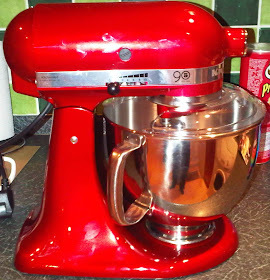 Just a Girl and her KitchenAid: Cake, Brownies and a Little Bit of Cheating! Have you ever had one of those days where you just cannot be bothered? Sunday was the day from hell, all Sundays are when you're a waitress in a pub that does good Sunday dinners. Although I was fed up and on the brink of tears, my mother gingerly asked me if I'd make a Victoria Sponge for my Grandfather. The prospect of spending an evening baking relaxed me somewhat but my regular recipe is a complete faff and I simply could not be bothered. 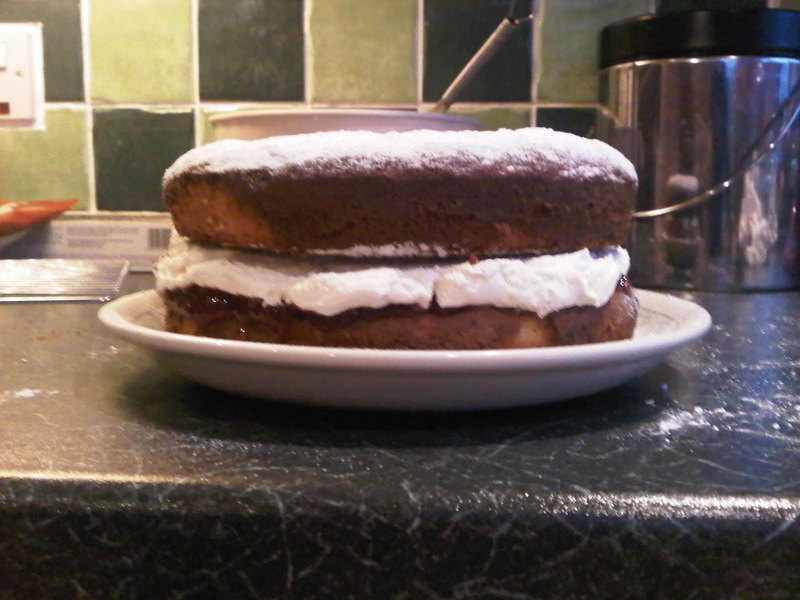 As I was needing to go to the shops to get the cream and jam anyway, I figured I could take the cheat's way out. Yes, I do mean a packet mix! Shock! Horror! I was ashamed, I must admit. Even more so that I ended up buying a brownie mix too. The Victoria Sponge doesn't look as good as it normally does, the suggested 20 minutes made it a tad burnt and I probably didn't take too much care with the construction but apparently it tasted awesome! 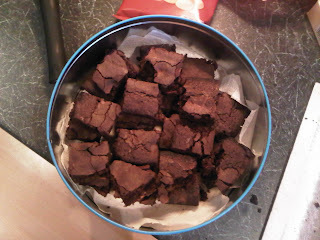 As for the brownies, they were bloomin' gorgeous, gone in about a day. Definately a must for those who also can't be bothered! However, for those who would like to make a Victoria Sponge from scratch, try my previous recipe. For those who also want to try my Chocolate Brownies, here's the recipe courtesy of BBC Good Food! I usually use chocolate drops instead of pieces to save the faff and I also omit the chocolate drops within the brownie as I find it too runny once cooked. This, of course, is down to your preference!